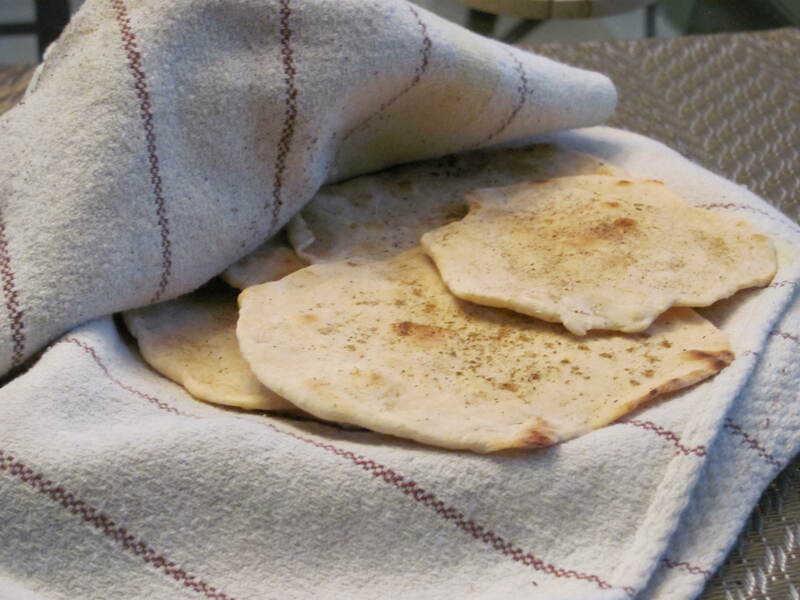 I wanted some kind of Indian bread to accompany my Indian black lentil soup tonight, but naan would be too time consuming and uses yeast and egg. I wasn’t about to toast up a Mexican tortilla, so I decided this roti bread would be perfect since I had all ingredients on hand. I like rubbing a little cumin and coriander on them before I toast them in the skillet. Heat a skillet on medium high heat. I sprayed mine with 2 tiny spritzes of nonstick spray just for good measure. Mix all ingredients together in a medium mixing bowl with a spoon. Once it all starts to clump together, start using your hands to knead it. Add flour as necessary to keep it from being more wet than doughy. Divide into 6 balls. 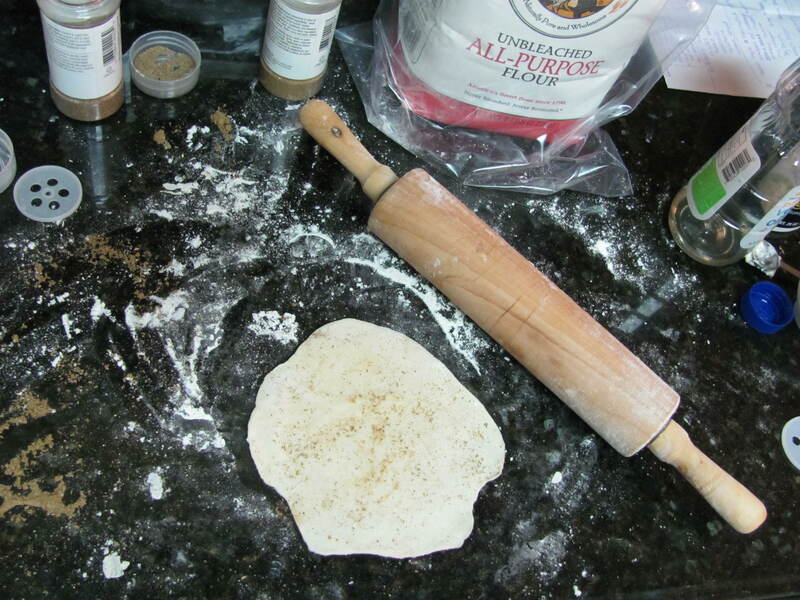 Lightly dust your countertop with flour and lightly rub your rolling pin with it as well. Flatten each ball out with the palms of your hands (add a light dusting of flour to you hands as needed to keep it from sticking to you), then roll out the ball into “tortilla-like” shapes. Rub on cumin and coriander if you wish. Place each roti on the skillet and flip as it starts to harden (about 4-5 minutes on each side). They will get browned spots on them when they are done and will look like a stiff tortilla. Makes 6 rotis.